Kitchen: Large fridge/freezer, built-in single electric oven and gas hob, dishwasher, washing machine, microwave. There is a breakfast bar with 2 stools. Bathroom: Bath and electric shower, hand basin, WC and towel rail. Bedroom: King-size bed, bedside tables and lamps, chest of drawers, hanging space and wooden shutters. Sitting Room: Open working fireplace, sofa, armchair, flatscreen TV, stereo/CD and DVD player. Doors to outside courtyard area. Enclosed courtyard area with cast iron round table and chairs, water fountain, shrubs and plants. Accessed from the courtyard and useful additional space with sofa, table and chairs, tumble dryer and stereo. 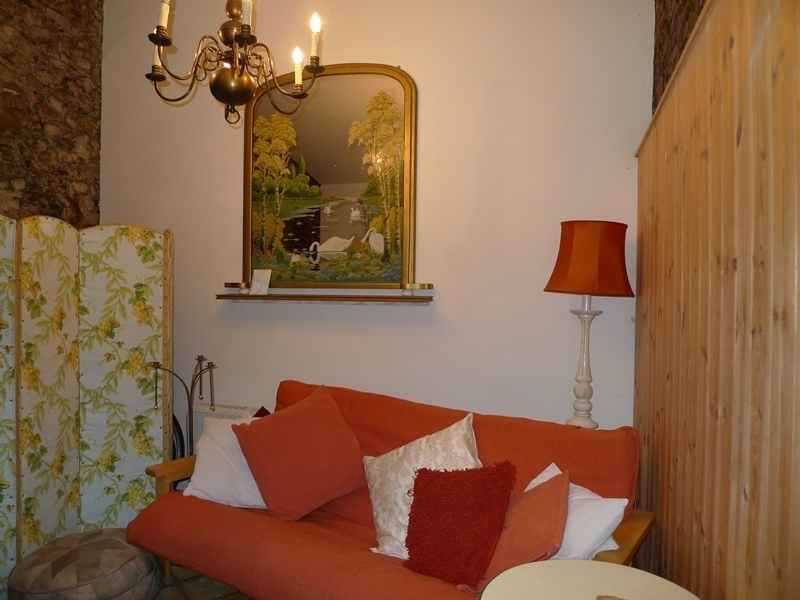 Very peaceful with a perfect location, homely and comfortable and a private courtyard garden.